Mumbai-based AS Justride Tours and Travels Pvt. 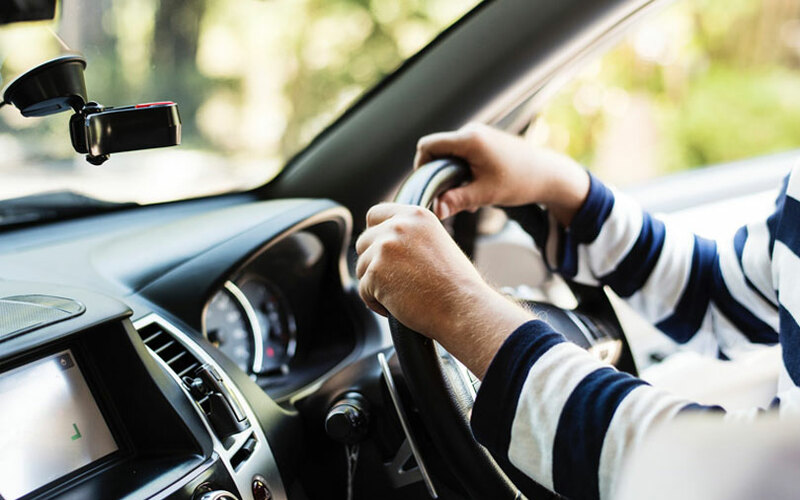 Ltd, which owns self-drive vehicle rental platform Drivezy, has raised $20 million (Rs 141.4 crore) in its Series B round, the company said in a note. The round, led by existing Japanese investor Das Capital, also saw existing backers Axan Partners and venture firm IT-Farm. Motorbike company Yamaha came in as new investor. Money from the latest round, which takes the total funding raised to $31 million (Rs 219 crore), will be used for geographical expansion and integrating advanced services, the note stated. As part of the transaction, Amish Parashar, partner at Silicon Valley-based Yamaha Motor Ventures & Laboratory, will serve as an observer on the board of Drivezy. “Over sixty years ago, Yamaha Motor was founded to explore what was possible on two wheels. This DNA is still with us as we invest globally in the future of urban mobility,” Parashar stated. Additionally, the company has also secured $100 million (Rs 707 crore) in an asset financing deal. In an asset financing deal, company assets are offered to the lender for obtaining a loan. Through the loan, the company plans to induct over 50,000 vehicles. The financing mechanism for this deal was structured by Japanese fin-tech firm Anypay, which is also an investor in Drivezy. The company’s last-known major equity round was in October 2017, when it raised $10 million (Rs 65 crore then) from Das Capital, Axan Ventures, CrowdWorks and IT-Farm. In February this year, the firm raised $5 million in the first round of its initial coin offering. Drivezy (formerly JustRide) was founded in April 2015 by NIT Allahabad graduates Ashwarya Singh, Hemant Sah, Vasant Verma, and Amit Sahu, and IIT-Bombay graduate Abhishek Mahajan. The company started off as a platform that allowed individual car owners to list their idle vehicles for rent. The company then included two-wheelers on its platform. Customers can rent on an hourly, daily, weekly and monthly basis. In February this year, the firm also launched a one-way car rental service under the Vector offering. The service allows customers to make point-to-point trips between two cities. The customers can pick up their cars from the designated Vector zone in one city and drop it in another. Drivezy claims that its network has 2,000 owners and 7,000 plus operational cars, motorcycles and scooters which are rented by over 37,000 customers every month. Since January 2018, Drivezy has doubled the number of vehicle listings on its marketplace and plans to deploy an additional 10,000 bikes in Bengaluru and Hyderabad by December 2018, the company stated. Drivezy was part of the 2016 summer batch of the accelerator programme of Silicon Valley-based Y Combinator. The company says it is also backed by internet search giant Google. “The sharing economy in India is thriving and has picked up pace in the past five years, especially within the mobility sector. With less than eight per cent of Indians owning a car, the rapidly growing car-sharing and bike-sharing industry could provide convenient and sustainable mobility to millions of urban Indian residents,” said Ashwarya Singh, chief executive and co-founder of Drivezy. The Indian self-drive vehicle rental space is fairly vibrant with a number of funded players like Zoom, Revv, Bounce and Vogo. Some of them have also raised funding in recent times. In September this year, Bengaluru-based Wickedride Adventure Services Pvt. Ltd, which operates dockless scooter sharing platform Bounce, raised $3 million (Rs 21.79 crore then) in venture debt from InnoVen Capital. Before that, in August, it had raised $12.2 million (Rs 83.6 crore then) in a round led by Sequoia Capital India and Accel Partners. A day earlier, on Tuesday, it acquired the assets of the Indian arm of Chinese bicycle-sharing venture Ofo, marking its entry into the bicycle-sharing space. In August this year, Hyundai Motor Company invested in Indian self-drive car rental startup Revv, joining a raft of global carmakers backing new tech-enabled ventures that are transforming the automobile industry worldwide. In April, online scooter rental platform Vogo raised $7 million (Rs 45.5 crore then) in funding from Ola, Stellaris Venture Partners and Matrix Partners. In February, automotive major Mahindra & Mahindra Ltd picked up a 16% stake in self-drive car rental startup Zoomcar for $27.6 million (Rs 176 crore then) as part of its $40 million (Rs 256 crore then) Series C round.